This is the Federal Reserve's sixth scheduled meeting of 2015, with meetings in October and December to follow. A press conference by Fed Chairwoman Janet Yellen will follow the FOMC meeting. By far, the biggest thing investors are looking for is a decision on whether or not to raise interest rates. The Federal Reserve has kept interest rates near zero since 2008, but a growing U.S. economy has had the Fed pushing for a rate hike throughout 2015. Growth of the U.S. job market has been one of the biggest reasons proponents are calling for a rate hike. The U.S. jobs report from August showed that unemployment in the United States hit 5.1% – a seven-year low. At the same time, job openings hit 5.8 million in July, showing an increased need for workers. However, instability in the market over the last month has caused experts to question whether a rate hike is actually feasible this month. Thanks to worries about China's stock market, the Dow Jones fell 13.4% from July 20 through Aug. 25. The Nasdaq and S&P 500 were down 13.5% and 12.2% in the same time frame, respectively. The majority of economists polled by The Wall Street Journal no longer believe this week's FOMC meeting will end with an interest rate hike. Only 46% of economists surveyed by The Journal now believe a rate hike will happen this week. In August, that figure was 82%. But according to Money Morning Chief Investment Strategist Keith Fitz-Gerald, you can never be certain what the Federal Reserve will do. Just because they shouldn't raise rates doesn't mean they won't. 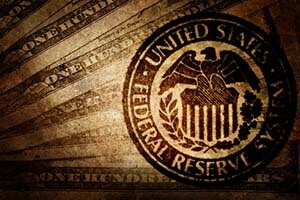 "I think it would be irresponsible to raise rates now, but that doesn't change the fact that the Federal Reserve has ignored data and reality for so long that I think they're going to go ahead and do it because their models don't reflect the middle class, which is still being eviscerated," Fitz-Gerald said. Regardless of the Fed's decision on interest rates, investors should expect some volatility following the FOMC meeting. The question here is of Ethics. Fed raising rates can be massively negative for the Emerging Markets. The EM debt in terms of USD is huge.